Do you want to get to know your surroundings a bit better? Do you want to spend the Sunday morning doing something different? 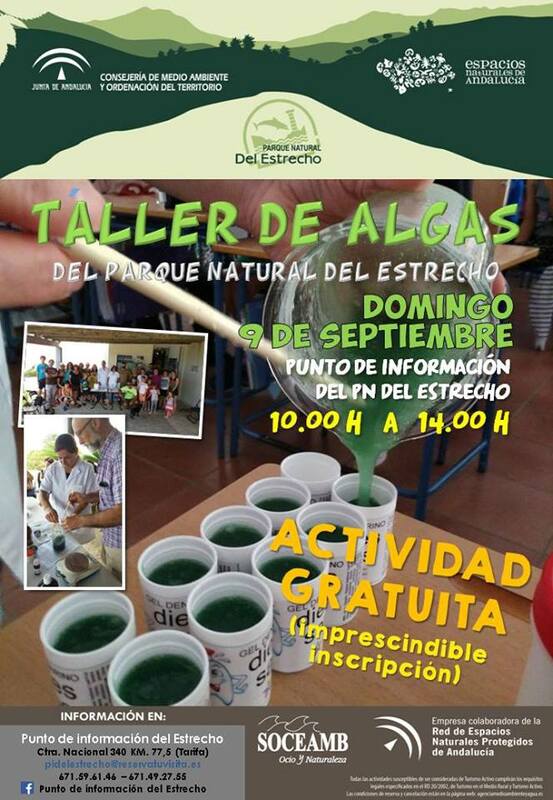 … Take this opportunity to learn a little more about the Natural Park of the Strait and sign up for this ALGAS WORKSHOP … you will discover its importance on our coast and what uses they have. We will develop a workshop in which entertaining and fun you can make a gel based on algae and know them a little better. Do not lose this chance. It is a TOTALLY FREE activity and has VERY LIMITED PLACES. We wait for you at the Information Point next SUNDAY, SEPTEMBER 9 at 10:00.